Changes made in the Document Settings will be applied to every page in the publication. To access the Document Settings, click the last icon on the left hand side. This is the name of your document - it is also the name that will be used in the URL for your Smart PDF. Every Beacon template has a set of colors that have been used throughout the document - these are known as the Default Styles. If you make a change to a color in the Default Styles section, that color will be updated throughout the entire document. More information on Default Styles. If you want to save time when creating future publications you can convert this document into a reusable template. 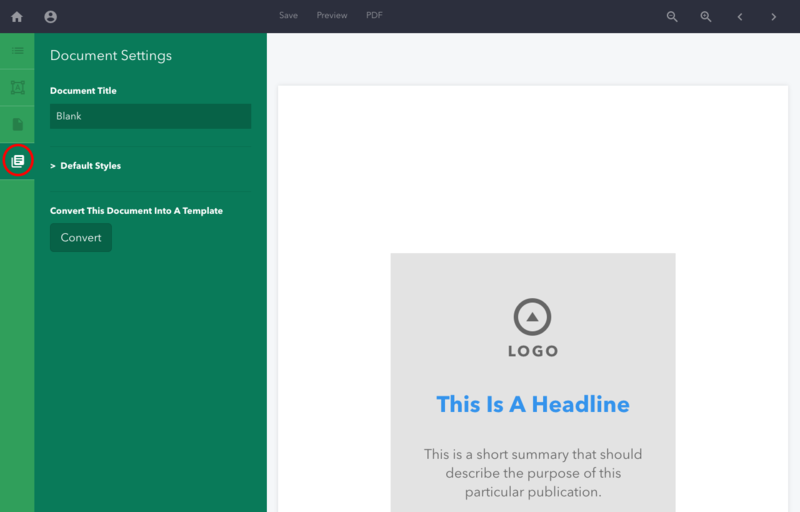 When you do this, your new document template will be available when you next create a new publication.